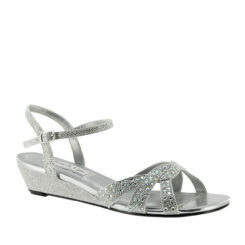 Lady Couture Queen is a low heel wedge evening peep toe sandal covered with “mirror” rhinestones! This shoe has an adjustable slingback. 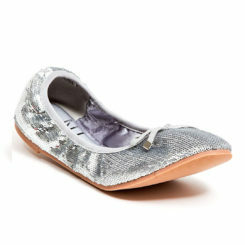 Elegant and comfortable, this shoe is perfect for someone who wants glamour without a lot of height! Queen is available in champagne. Below we have provided loose size conversions for your convenience but cannot guarantee size or fit!